“Dragon Stone is a newly discovered green and red Jasper from South Africa. Fire energy; Protective stone, used for wealth, long life, brings intellect to new heights, protects the fields of the physical, emotional and mental bodies.” It has been said that the best way of breaking an old habit is to introduce a new one. Well no secret there why this stone was calling me. Some other useful information about this stone: “Emotionally, Dragon Stones helps one develop self-confidence, a stronger will, an open expression of feeling and affection, a willingness to help others for the greater good, and the persistence required to make real and effective change. Physically, it seems to aid endurance, and to inspire one to work hard to be well. This includes diet and exercise regimes for getting in shape. It also feels to me that it can aid those who are working to repattern one’s cellular habits for regeneration and rejuvenation, all the way down to the DNA. The twisting, snakelike DNA molecule is, after all, something of a Dragon itself! Gemstone and crystal healing has been around for ages. Their energies are some of the best healers. 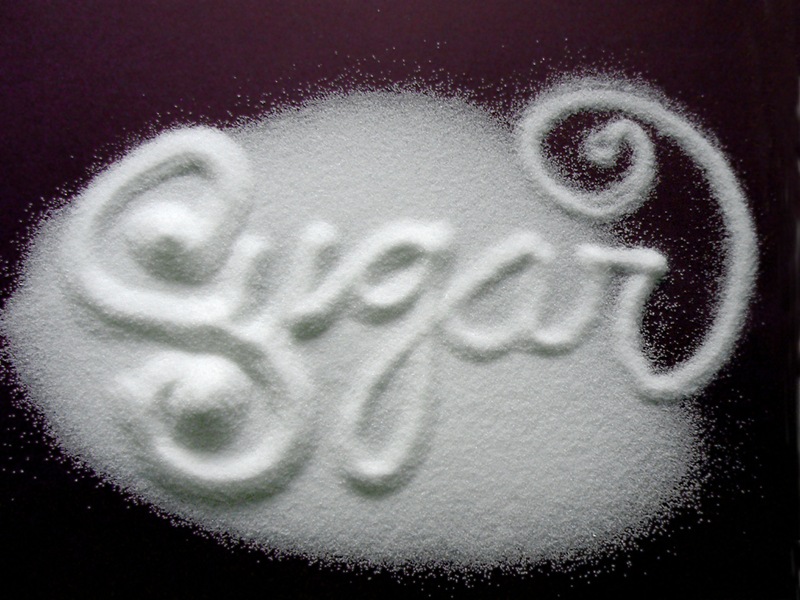 Most people are addicted to sugar and don’t know it. For me, I think it is the hardest thing to give up. Sugar is in almost everything. “The average American consumes an astounding 2-3 pounds of sugar each week, which is not surprising considering that highly refined sugars in the forms of sucrose (table sugar), dextrose (corn sugar), and high-fructose corn syrup are being processed into so many foods such as bread, breakfast cereal, mayonnaise, peanut butter, ketchup, spaghetti sauce, and a plethora of microwave meals.” One of the reasons people get sick is that the foods they are eating are not immune boosting foods. “One of sugar’s major drawbacks is that it raises the insulin level, which inhibits the release of growth hormones, which in turn depresses the immune system.”A lot of people complain about loss of calcium in the bones. A possible culprit could be sugar. “Sugar interferes with absorption of calcium and magnesium.” Aside from diabetes, sugar can cause other diseases and illnesses such as osteoporosis, food allergies, headaches and depression to name a few. Want a holistic health consultation? 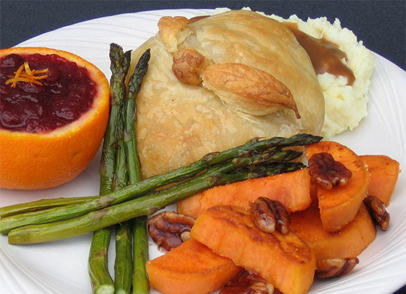 Preparing favorite dishes lower in fat and calories will help promote healthy holiday eating. Refrigerate the gravy to harden fat. Skim the fat off. This will save a whopping 56 gm of fat per cup. There are more however this should get you started. Happy holidays!! Milk Does the Body Good?? “Milk does the body good.” Remember that slogan? As a kid I drank milk by the gallons. It got worse after I became an athlete in high school and college. 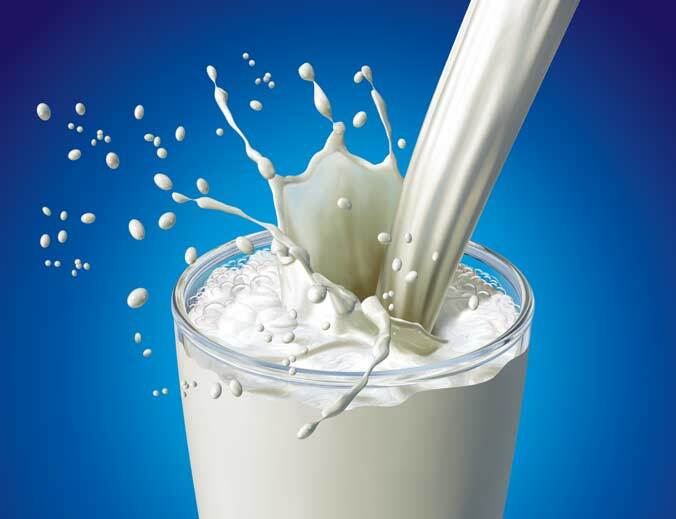 Milk was always promoted as THEE source of calcium, for strong teeth and bones, in addition of other vitamins. So naturally when I conceived my daughter, I drank more. In high school and college, I suffered some terrible menstrual cycles. Never attributed to milk to be the cause of them. While I was pregnant, I experienced the same excruciating pain. I wasn’t sure where the pain was coming from this time as I had not received my cycle yet. I continued to drink milk and eat other dairy products. So now comes the birth of my daughter and the nurses try and feed her cow based formulas. My poor baby blew up like a balloon and turned red. After much trial and error and many formulas later, they came to the conclusion that my daughter was allergic to cow’s milk. They put her on a goat’s milk based formula. *ALL* cow’s milk (regular and ‘organic’) has 59 active hormones, scores of allergens, fat and cholesterol. Most cow’s milk has measurable quantities of herbicides, pesticides, dioxins (up to 200 times the safe levels), up to 52 powerful antibiotics (perhaps 53, with LS-50), blood, pus, feces, bacteria and viruses. (Cow’s milk can have traces of anything the cow ate… including such things as radioactive fallout from nuke testing … (the 50’s strontium-90 problem). I am a proud promoter of cleanses and detoxing the body. When you remove everything from your diet and then slowly reintroduce the foods, you will see what your body does not like. 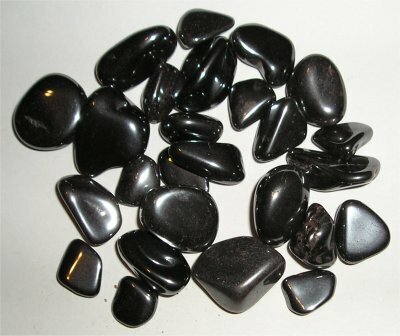 Hematite is one of my favorite gemstones to use for healing. It’s focus is on clearing and building. It is a very grounding stone and looks much like a solid piece of mercury. Hematite helps remove emotional pain and can balance mood swings to assist you in broadening your perspectives. Dissolves negativity and prevents you from absorbing the negativity of others. It works on the root chakra and heals issues of the blood. Hematite stimulates iron absorption in the small intestine, which in turn improves oxygen supply to the body. It has the fire element and is associated with Saturn and is a stone of Aries and Aquarius, but is assigned to Scorpio, whom it not only protects but also warns of danger by changing temperature. 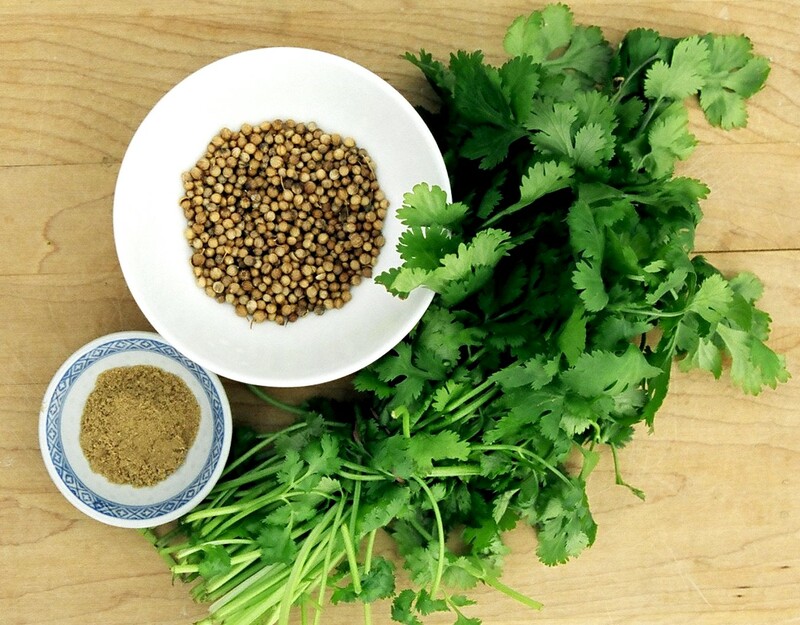 Coriander, commonly used in Indian curry, is a spice most would not have suspected as being a healing herb. “The leaves of coriander are a stimulant and tonic. They strengthen the stomach and promote its action, relieve flatulence, increase secretion and discharge of urine and reduce fever. They act as an aphrodisiac, help in the removal of catarrhal matter and phlegm from the bronchial tubes thereby counteracting any spasmodic disorders.” The leaves are called Cilantro and have also been used in some spicy dishes. Your kitchen can become your best choice in first aid. 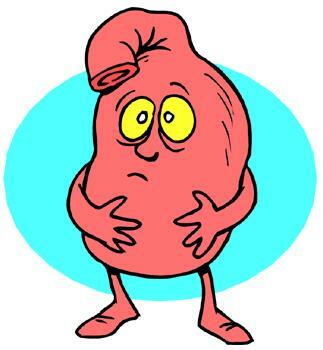 Calcium Carbonate – May cause constipation or if over used may actually increase acid reflux instead of reducing it. Magnesium Hydroxide and Magnesium Oxide – Can cause diarrhea. Don’t take it if you have kidney problems. Bismuth Salts – May cause Encephalopathy, a disease of the brain commonly called dementia. Don’t want to use these harmful chemicals? There are several ways to treat acid reflux, heartburn and other digestion issues, naturally. Aloe vera has been used to treat stomach upset, diarrhea and inflammation associated with bowel diseases such as ulcerative colitis. Licorice is believed to be effective in treating stomach and intestinal ulcers, reducing stomach acid levels, coating the stomach wall with a protective gel and relieving constipation.